Apple announced the launch of its WatchOS 3 during the ongoing WWDC 2016. The new OS is anticipated to be 7 times swifter than the existing OS. The new app and extensive features add to the exceptional functionality and performance of Apple Watch. Apple Watch can be considered as an extension to Apple’s smartphone and includes all the functions of an iPhone. Inorder to extend the reach and likeness of Apple Watch, the new OS will definitely play its part. I would like to share a few of those extensive features. The Apps of WatchOS 3 launches faster than its previous versions. The developers promised that apps will launch 7 times faster than the precedent version. WatchOS 3 has the latest Control Center. This will help you in accessing the Settings from a single place with a single button. Smart Reply will help you to select customized response for the iMessage. This will automatically create replies for the messages that are sent to you. The new feature called Scribble will help you to reply to the iMessages simply by using finger-tips. For the time being the Scribble supports only Chinese and English languages only. For instance if you are in US then it will let you to 911 by holding the Hold Button for a maximum time of 3 seconds. If you are in different country, you can press the Hold Button, to dial the emergency number of that country. Another interesting feature is that this will let you know the emergency contact in your locality with the map of your location. WatchOS 3 will help you to compare your activity with that of your friends and relatives. The only thing that you have to take care is that those people have to be in your contact list inorder to call them for comparison. Again you are also allowed to communicate with those peers using Activity App. Smart Reply, Scribble and Audio Messaging options will aid you while communicating with them. Wheelchair users can also this Activity App. It can track the wheelchair pushes and will display Time to Roll if you push the wheelchair and shows Time to Stand, if you stand still. The new OS is packed with an app called Breathe that automatically guide you in deep breathing actions. It will automatically sense the oxygen level in your body and keeps you informed. 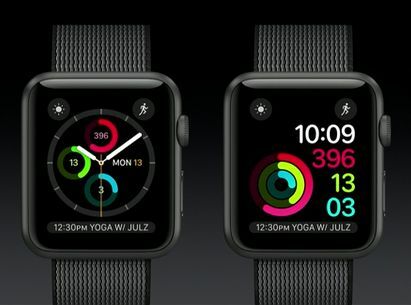 Apple announced new watch faces also. The new watch faces includes Numeral Style Watch Face and Minnie Mouse Watch Face.